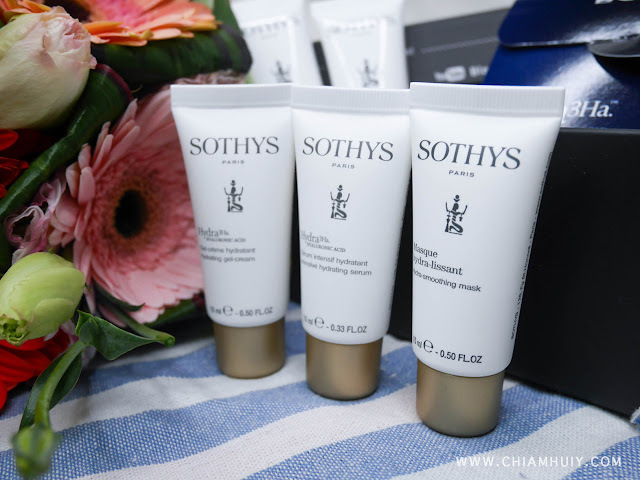 This December, Blackbox December Edition introduces the Sothys Paris Exclusive Box to fight agains dullness and dehydration. 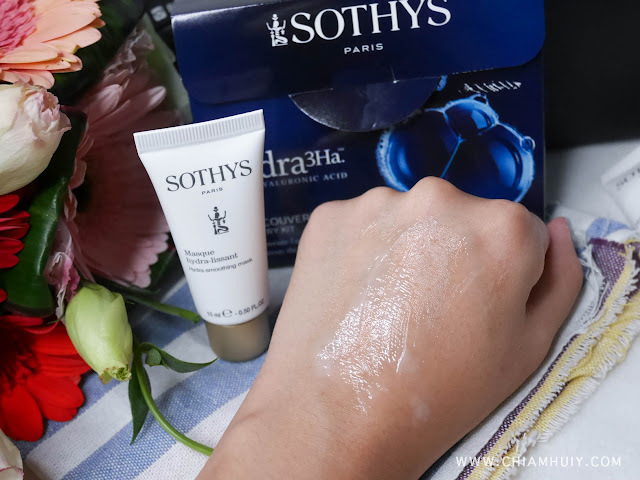 If you have dry or dull skin due to long exposure under the sun, or lack or care when you're young, perhaps this is one good start to save your skin! This exclusive kit contains 5 products and I reckon can be used for at least a month. It is available at $19.90 (total product worth $164.60). This is really really worth it. 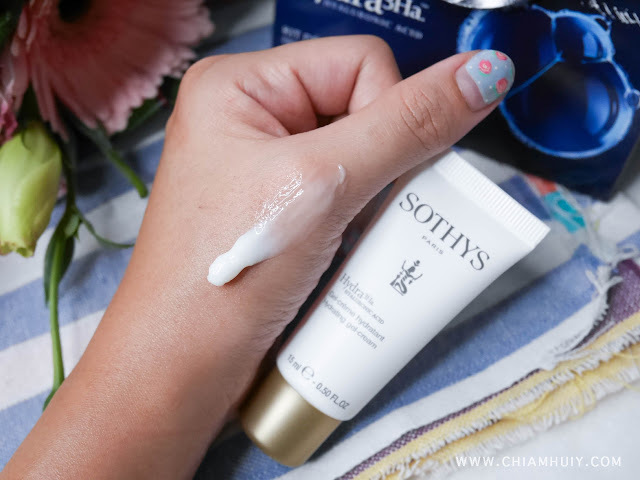 I was quite surprised that the serum is slightly cream based, but come to think of it such cream based serums are more nourishing and moisturizing, which perfectly suits the hydrating effect needed by all dry skins. 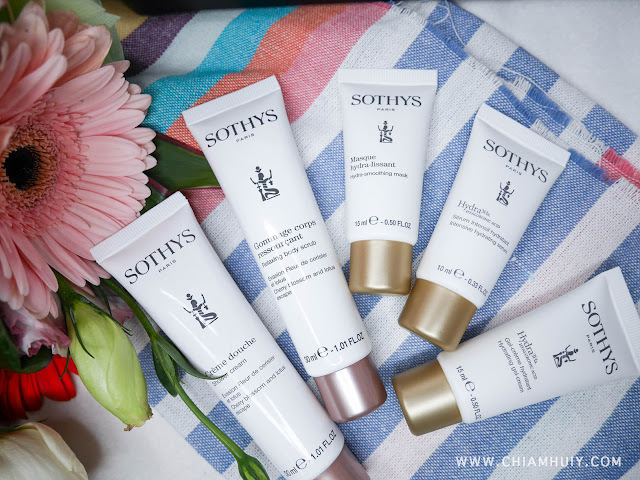 They are essential to help restore skin’s moisture level leaving it youthful and hydrated. This serum contains Hyaluronic acid that can boost up to 60% hydration. Remember to give it 1.5 to 1 min intervals before applying the next step for full absorption! 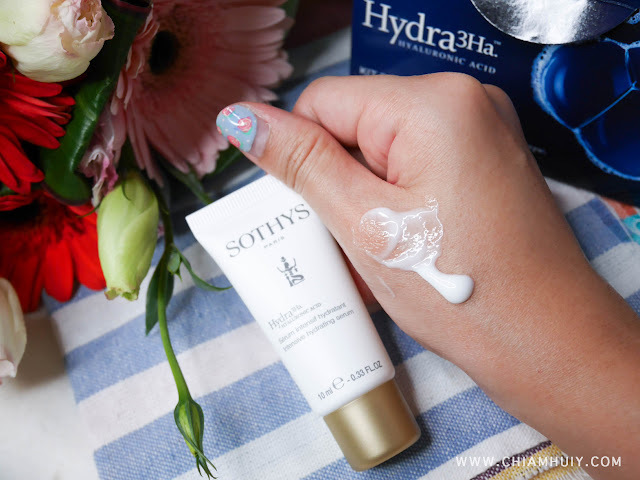 I personally find this serum really rich and creamy, and it does help to keep those dry areas on my skin instantly hydrated. I definitely look forward to a longer term effect in the long run. This Gel-cream helps to retain and lock up the skin’s moisture level, leaving your skin hydrated throughout the day. 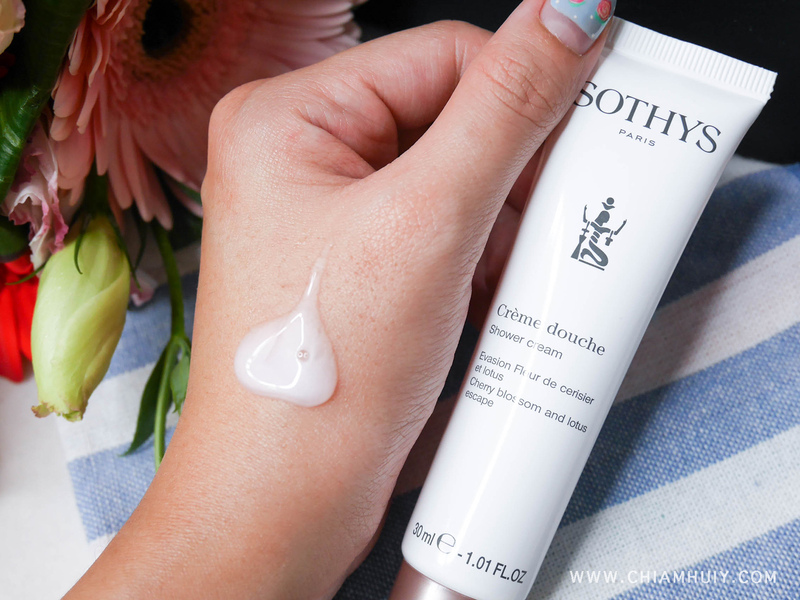 It's slightly thicker than the serum so it acts as a protective layer over the skin. I find that you can actually decide on how thick you would like the gel cream to be. If you have really dry skin, you can choose to apply a thicker overnight for an intensive hydrating treatment throughout the night. Smelling as great as the name suggests, this body scrub gives you the chance to pamper yourself while you do your usual skin maintenance. 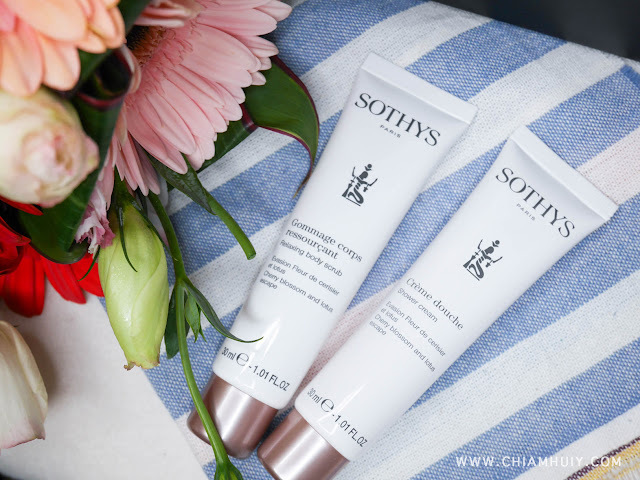 In case you are unaware, Cherry Blossom is known for its anti-inflammatory or anti-irritant properties hence, making a very good product even on sensitive skin! 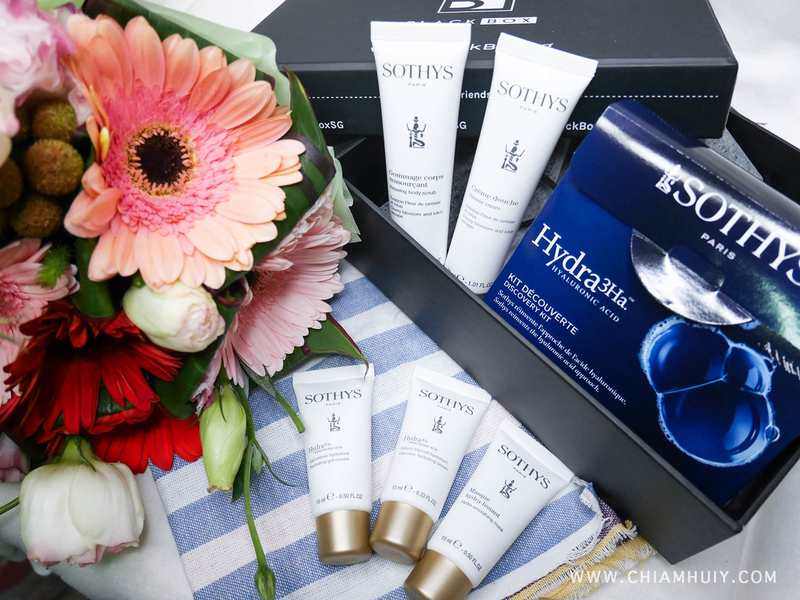 Do check out BlackBox December Edition – Sothys Paris Exclusive Box while stock lasts! Remember to quote "BBXCELINE10" to get 10% off.